Kurt Schwitters’s Merz Barn in the Lake District of Northern England is up for sale after again failing to regain funding from Arts Council England (ACE). The owners and custodians of the site, Ian Hunter and Celia Larner, of the Littoral Arts Trust, have a firm offer from an unnamed Chinese collector but want the site to become a centre for artists with refugee backgrounds. Hunter and Larner, the husband-and-wife team that run the site in Elterwater, in the Cumbrian hills, have been supporting the project with their own money. But financial pressures have forced the Littoral Arts Trust to sell the property, ideally within two months. After one of several applications to ACE was rejected in May 2017, Hunter received a letter from ACE, which, according to Hunter, stated that Merz Barn was unlikely to receive funding and advised him to sell the site. Hunter says that ACE also stated that it did not fund heritage projects. “I think they are bonkers,” Hunter says of ACE, which has provided £240,000 of funding for the Merz Barn to date. “We’ve hung on for as long as we can, hoping that ACE will change its mind, but clearly that’s not going to happen,” he says. In the 1940s, Schwitters used the barn as a studio, transforming it into an experimental Dada-inspired artwork. Considered an important piece of national heritage, the barn has received high-profile donations—from Damien Hirst and Galerie Gmurzynska, among others. Ou Ning, a Chinese curator and activist, visited Merz Barn in December 2017 and, on hearing that its future was in jeopardy, found an unnamed Chinese collector who wanted to buy it. Under the terms of the sale, the barn would, in the short term, remain in the UK and continue to be run by the Littoral Arts Trust. The offer could not come at a better time for Hunter and Larner but they are still hoping that their dream of setting the site up as a trust run by a collective of artists can be realised. Hunter has approached many leading art world figures—including the Manchester School of Architecture, and the Dutch architect Rem Koolhaas—to see if they would be interested in buying the barn for around £350,000 (with running costs of £60,000 a year). “Every time we have had a problem, it’s been the artist community that have stepped in. We think that community should own the site,” Hunter says. In January, the trust hosted a day of remembrance and celebration to mark 70 years since Schwitters’s death—and the day after he was awarded British citizenship. Schwitters built two complete Merz Barns in his lifetime, the first in Hanover and the second in Oslo, but both were destroyed. 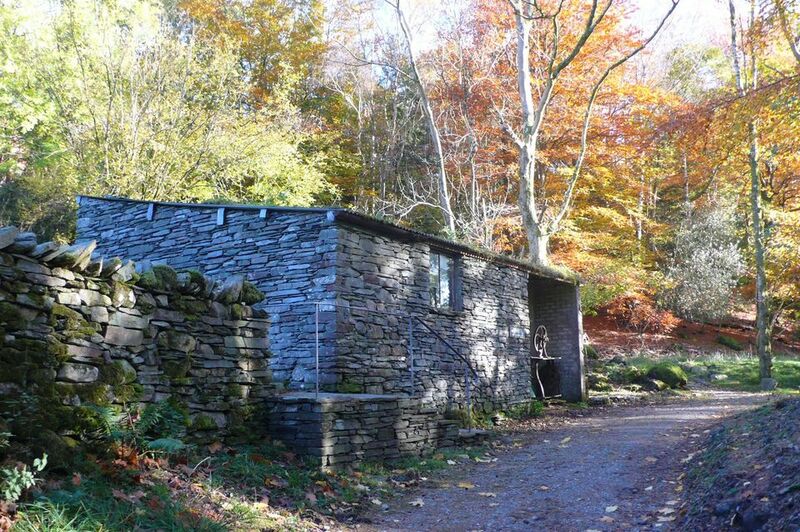 In order for Merz Barn in Cumbria to avoid this fate, someone new must take ownership of it.